We have got a major soft spot for Patrick from SpongeBob SquarePants. Think about it: when given the chance to become a superhero, he chose the name “Mr. Super Awesomeness” and he wanted super ice cream magnetism as a power. How can you not love him? We wish we could be like Patrick Star every day, don’t you? Actually, didn’t we hear that your doctor recently give you a mandate to lower your stress levels and learn to enjoy the art of doing nothing? Well, you’re in luck, because we have this Adult Inflatable Patrick Star Movie Costume and we think it will suit your needs! This look lets you look just like everyone’s favorite starfish from Bikini Bottom, and he is even decked out here in his superhero gear! You can embody his super awesomeness and his laid back lifestyle while you try to master the power of summoning ice cream. That doesn’t sound too high stress to us! It sounds like a dream come true, actually. And the transformation couldn’t be easier! 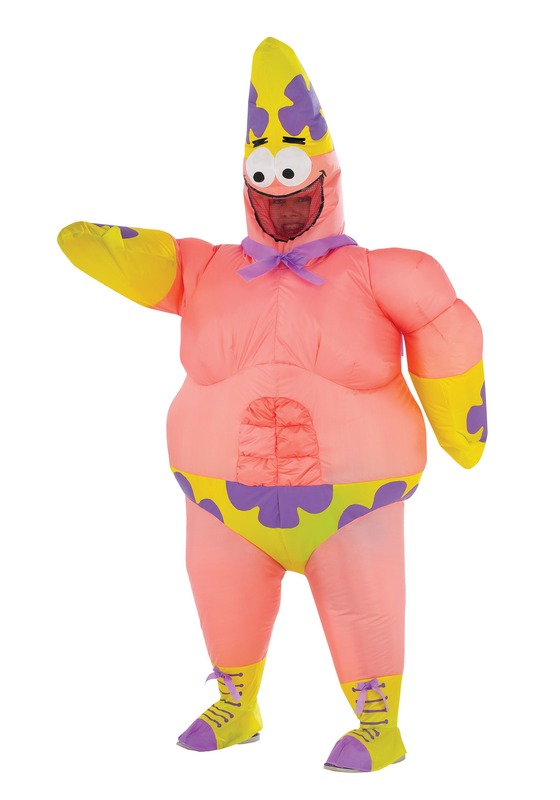 This licensed Nickelodeon costume includes a very authentic-looking, Patrick-shaped jumpsuit, along with an attached cape emblazoned with an ice cream cone! The attached character head will help you get into full character mode as you wade into the waters of the Halloween party. The only stressful about this costume is figuring out how to make it “business casual” so you can wear it to the office on Monday!